Did you know that Heathrow airport is the busiest airport of London and third busiest airport in the world? 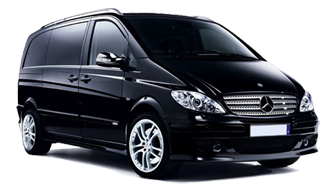 In such a rush, Minibus Transfer Service comes to your rescue with its Heathrow airport taxi transfer services. We will pick you from the airport, regardless of the terminal you are at, and will drop to the required destination in comfort. Travelling with MTS will bring you the feeling of opulence and elegance as we are called the best Heathrow airport transfers providers. We have 7, 8, 9, 12, 14 and 16 seater minibus to and from Heathrow airport, so don’t worry if you are looking. Keeping in mind the comfort of travelers all the vehicles are equipped with the latest gadgets such as DVD system, microphone PA system and charging plug. Travelling with us will add some extra fun elements to your journey. Our well-trained drivers are counted among the best ones in the city and focus on your safe and comfortable journey. Knowing the city by heart, makes it easier for them to find the best route to reach the destination in the shortest span of time. Even the staffs at us are courteous and cooperative enough to consider your problem as their own. They will leave no stone unturned in making your Heathrow airport transfers in London, memorable and excellent. Go with the hassle free booking procedure of taxi and minibus from london to heathrow at the website and mention the Heathrow Airport Terminal 1 to 5 to be picked from. One of our drivers will be at the location even before you reach. Picking you up on time, luggage care, and the safety of the drive all falls under the concerns of the driver.